[IT'S OVER] Watch me play Runbow (again) with the creators, and a bunch of strangers! Hey there TAY! 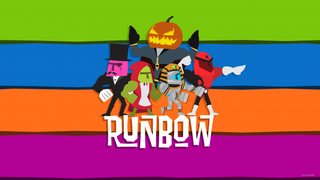 The guys at 13AM Games are streaming Runbow (again) at their twitch channel. And of curse I’ll be joining their party, along with a bunch of strangers. Join me as I try to best them at their own game! Look out for Unity Chan, as she tries to retain her Queen of Bronze title.